Hot cross buns are a traditional Easter delicacy. If you do not have a local bakery that serves these delicious doughy morsels then we are here to help. 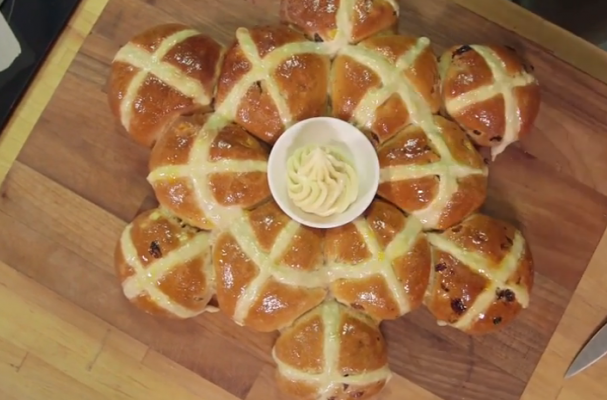 The video below shows you a simple way to prepare hot cross buns from scratch. This recipe will work for beginning bakers or skilled home cooks alike. For full recipe instructions, watch the video below or click here.